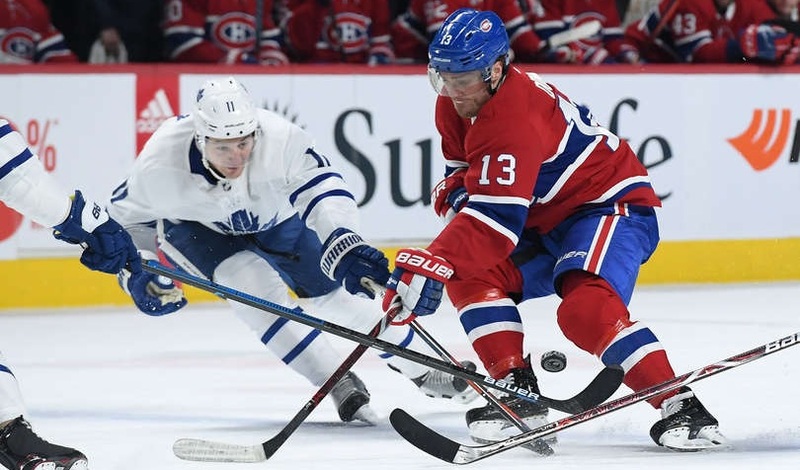 The Habs went into play on Saturday night looking to sweep the week as they took on Toronto. While they had the lead a couple of times, they weren’t able to make it stick as they fell 4-3 in overtime. 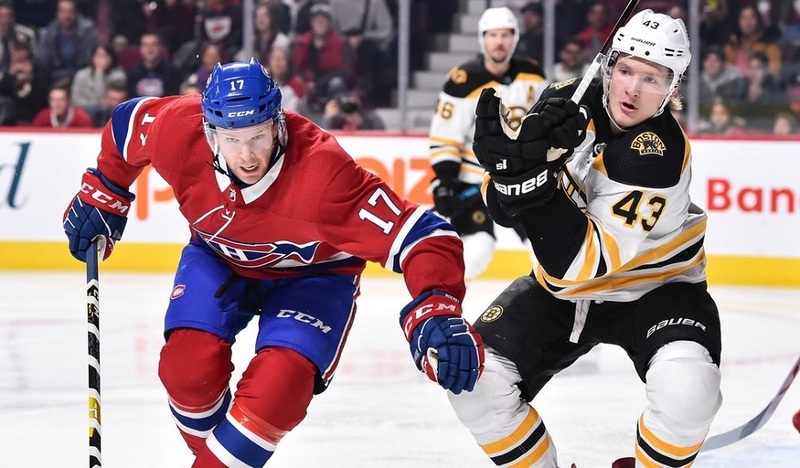 Claude Julien opted to make one change from his winning lineup against Winnipeg on Thursday night. Andrew Shaw was activated off injured reserve and moved onto the second line alongside Max Domi and Tomas Tatar. 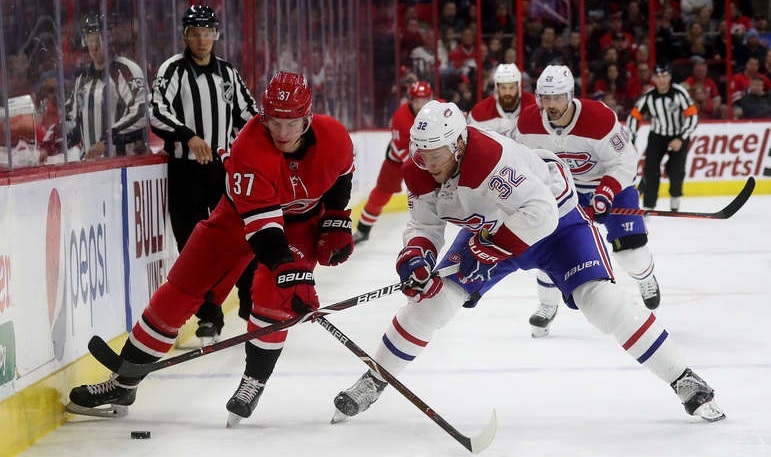 That left Charles Hudon as the odd man out after being a late scratch which has fueled trade speculation. Montreal opened up the scoring very quickly. Max Domi won an offensive zone faceoff to Jeff Petry who quickly put it on net. Shaw was in place to redirect it and it got by Frederik Andersen to give the home side the lead before the first minute was up. 30 seconds later, Joel Armia drove the net and had Andersen down but the netminder was able to poke the puck away. Unfortunately for the Habs, the lead was very short-lived. Two minutes after the Canadiens opened the scoring, Zach Hyman attempted a wraparound. He wasn’t able to get the shot off but it worked perfectly for Toronto as the puck slid through the crease to Andreas Johnsson who tapped it past Carey Price. The Maple Leafs wasted little time to take the lead. Barely two minutes after the Johnsson goal, Nikita Zaitsev snuck a perfectly placed shot through a screen and beat Price top-shelf. The Habs picked up a four-minute power play at the eight-minute mark and as usual, they didn’t do much with it. Kasperi Kapanen actually had the best chance but Price turned aside his shot in close. Tatar had Montreal’s best chance on a shot from the slot but couldn’t beat Andersen. Over the final six minutes of the period, play largely settled down aside from one flurry. Jesperi Kotkaniemi’s stuff play was turned aside and seconds later, a 2-on-1 saw Tatar not get a shot off and then he bumped into Domi before falling into Andersen. While the Toronto goalie stayed in the game, he didn’t look 100% the rest of the way. The 2-1 deficit held up at the buzzer with Toronto leading 16-15 in shots. Just like they did in the first, the Habs scored early in the second. This time, however, they hit the post first as a Petry blast at the 30-second mark clanked off the iron. 45 seconds later, Tatar skated up the middle and let an innocent-looking wrister go that somehow eluded Andersen’s glove hand (the side that Tatar hit in the collision earlier) to tie up the game. Price picked up his first assist of the season on the play. A few minutes later, Artturi Lehkonen was sent off for tripping in a neutral zone collision. While the Leafs were fairly quiet with the man advantage, Price was called on to make one key stop, kicking his foot out to stop a redirected shot at the last second. Five minutes after the penalty expired, the Maple Leafs had their best chance of the period as John Tavares broke in 2-on-1 with Hyman. Tavares fed a perfect feed to his winger but Price came up with a big blocker save. Not too long after that, Jake Muzzin rang one off the post. The Habs picked up a late power play as Hyman went off for interference with just under two minutes left. Like their first opportunity, they didn’t generate much although they didn’t allow a prime scoring chance either. The two sides went to the room tied at two apiece with both sides picking up nine shots in a much tighter-played frame. The Habs took a little longer to score in the third period and this time, their early(ish) goal didn’t count. Four minutes in, Domi forced a turnover in the attacking zone and came in on Andersen. His shot was stopped but the rebound bounced in the air. Domi knocked it off the bar and in but did so with a high stick so the goal was rightfully waived off. A minute and a half later, Montreal got another power play when Auston Matthews was called for puck over glass. The first unit took a while to get set up but had some good chances once they got established in the zone but they couldn’t score. The second group didn’t have much time to work with but they made the most of it. Domi worked a give-and-go with Shaw and then fed it to Brendan Gallagher who tapped it home. Andersen knocked the net off its moorings while sliding across but that isn’t a reviewable play so the goal stood. The lead didn’t last for long. Barely a minute after the goal, Shaw turned the puck over at the offensive blueline and Tavares sent in William Nylander with speed. His shot got through Price and the two teams were tied once again. That goal seemed to get the Maple Leafs going as they put together several quality shifts in Montreal’s end. It was particularly notable as neither team had really been able to establish much of a zone presence to that point; most of the game was played off the rush. However, Price made some big stops to keep it tied. In the final minute, the Finnish line was able to take control in the offensive end. Armia made a nice individual effort to get free of his defender and made a one-handed wraparound attempt. Andersen made the stop but Zaitsev cleared the puck into the crowd for their second delay of game penalty of the period with 32 seconds to go. Montreal didn’t score in that span, sending the game to overtime. Shots on goal in the third were 14-6 for the home side. The 4-on-3 man advantage didn’t fare particularly well and the Habs didn’t get much going. Shortly after it ended, the Leafs forced Price to cover the puck to bring it back to 3-on-3 play. Toronto got control of it in their own end and Mitch Marner skated into the Montreal zone and stopped to allow Tavares to charge the net. He then fed a perfect feed to Tavares who backhanded it past Price to give the road side the extra point. Andersen made 35 saves in the victory while Price kicked aside 28 of 32 Toronto shots in the losing effort. Montreal actually won the special teams battle as they were 1/5 with the power play while Toronto was 0/3. 1st Star: Tomas Tatar – He usually plays with some energy but he brought even more to the table in this one. He drove the net on several occasions and while his goal was one that Andersen should have stopped, it was still a well-placed shot. With the top line being shut down in this one, it was good to see Tatar and his trio pick up the slack. 2nd Star: Andrew Shaw – Well, it’s safe to say there wasn’t any rust for Shaw – he scored on his first shift in nearly six weeks and continued his strong play from there. I thought he could wind up on the fourth line once Paul Byron returns but that’s going to be tough to justify as long as Shaw plays like he did here. 3rd Star: Brendan Gallagher – While his line as a whole was quieter compared to the Winnipeg game, Gallagher was his usual self. He was willing to fire the puck from anywhere and everywhere and considering there are quite a few players that are too pass-happy, I’ll take that from Gallagher every night. Honourable Mention: Joel Armia – I could make a case for Max Domi here given how well his line played but I wanted to highlight Armia’s strong individual play. While he doesn’t fare well with the man advantage, he played quite well at even strength and on the penalty kill and is quickly becoming one of Montreal’s better possession players. He’s never going to be a big scorer but if he can control the puck like he has as of late, he’ll still be a solid contributor.